GoldenEye 007 Coming To Xbox? The prospect of GoldenEye 007 coming back to a console first surfaced in May last year, when rumours circulated that the classic Nintendo 64 title- often dubbed 'the best game of all time' - may appear on Nintendo's Virtual Console and/or Microsoft's Xbox Live Arcade. When asked about the prospects last year, Rare said, "GoldenEye is caught up in a convoluted web of rights the likes of which would make the Weaver from Perdido Street Station jealous. That doesn't mean it won't happen, just that a lot of people with a lot of different perspectives are involved." News breaks today that the rights issues may be clearing up. According to very reliable sources, and seeing evidence themselves, Xbox Evolved believes that Microsoft, Rareware, MGM Studios and Activision (who now hold the license for James Bond 007 titles) have come to an agreement to bring the Rareware developed Goldeneye 007 out to Xbox Live Arcade shortly before the new game developed by Activision is released later this year. Above: Original artwork for the blockbuster game that was released over 10 years ago. The title will reportedly feature updated graphics, and of course an all-new Xbox Live multiplayer. 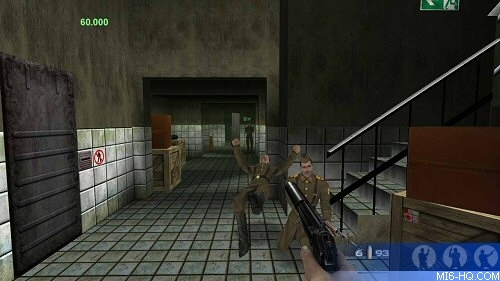 The news is in conflict with a statement made by US magazine Electronic Gaming Monthly, which recently claimed "Microsoft cancelled an Microsoft’s Xbox Live Arcade release of Goldeneye 007 at the last minute." New multiplayer maps - play on the single player Dam, Depot or Frigate levels. The source claimed that the 10th Anniversary edition was cancelled because because Nintendo put pressure on Activision for it not to appear on their rival's platform. According to reports, Nintendo’s CEO Satoru Iwata said, "Goldeneye is a Nintendo product and should only be on a Nintendo platform" - ensuring the title would not appear on any console except their own. The development team at Microsoft was reportedly disbanded. If the title is not published for Xbox 360, it is unlikely to appear on Nintendo Wii either. It was over ten years ago - back in August 1997 - that Rareware set the gaming world alight with the release of "GoldenEye 007" for the Nintendo 64. After selling over eight million copies, it is still the yardstick by which all 007 games are measured. 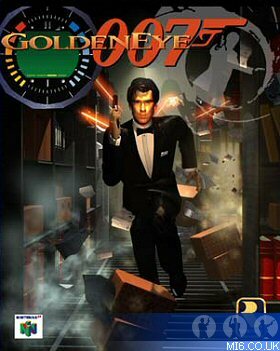 Much to the disappointment of fans and gamers alike, Goldeneye 64 was the one and only 007 title from Rareware. 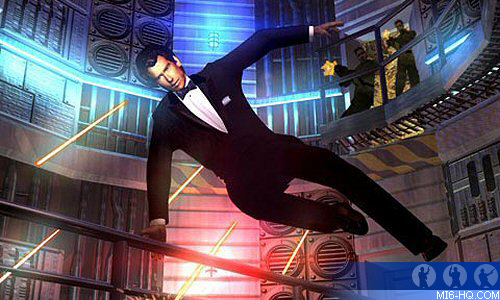 Electronic Arts produced some hit and miss Bond games from 1999 to 2005, and they have now passed the 007 videogame baton to Activision, who have a next-generation title in development for 2008, and a second for 2009. Although graphics, sound and 3D environments have far surpassed the N64 due to the vast improvement in technology over the past 10 years, for many Goldeneye 64 will remain the pinnacle of 007 videogames - even if those rose-tinted spectacles have collected a little dust.